Some of us burn out too soon. Others start lagging after doing the same thing for so long. I’m here to say that if you can get through the inevitable dip, blogging just gets better and better over time! 1) More respect. Less hate. When you first start out, nobody will give a damn about who you are because you haven’t proven yourself in the online world. They’ll question everything you say because you simply have no credibility. But over time, your readership will start realizing you actually do what you say. And if you do what you say long enough, the tide will inevitably turn where you will gain the respect you deserve. 2) More reach with less effort. A lot of publishers burn out because they can’t keep up with a rigorous writing schedule. But the irony is that the larger you grow, the less you have to publish. And the less you have to publish, the easier it is to keep on going! Instead of publishing 3-4X a week like I did for the first several years, I can now publish just once a week or every other week and reach way more people. Publishing less might actually help grow traffic more because the article has more airtime to get picked up and shared by more readers. But I continue to publish 3X a week because it’s fun. 3) A lot more revenue opportunity. Once advertisers realize you’re here for the long term, they’re more willing to invest more time and money in your site. With an established brand, you can command higher rates, covert at a higher percentage, and be more selective with whom you want to work with. The more established companies you work with, the more other established companies want to work with you. Besides being bombarded with endless advertising opportunities, you can launch your own private consulting practice. You can also launch your own product to generate passive income and boost your traffic even further. The revenue opportunities are endless. 4) More ways to help other people. The #1 most rewarding thing about blogging is getting e-mails or comments saying how much an article has helped a reader. The more thanks you get, the more you want to help other people. It’s a wonderful virtuous cycle. Given you don’t have to work as much, you can donate more of your time and money. You can also be a positive influencer to help change people’s lives for the better. All the insecurities you once had about your online reputation and financial security slowly dissipates the longer you can last online. 5) You’ll experience a lot more joy. I think the ultimate goal for everybody is to be happy. If you have respect, money, and the freedom to help others on a daily basis, you will inevitably feel much happier than someone who has none of those things. Further, you’ll have this gratifying sense of accomplishment that you created something from nothing that nobody can ever take away from you. If you ever do move on, feel good knowing that your work will live on forever. Blogging gives you that much needed sense of purpose. 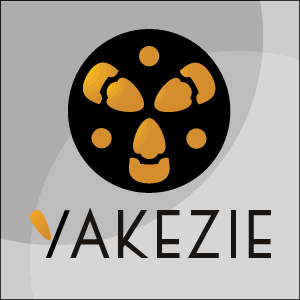 Yakezie.com will be online for seven years this December. I don’t write much on here anymore and the forums aren’t working properly. But that’s OK. It costs hardly anything to keep this site up and there’s no maintenance. The site continues to make a passive ~$1,000 a month and there’s a nice archive of blogging related posts to help new bloggers get ahead. For those bloggers stuck in the dip, I encourage you to just keep going. Build your brand online. Grow your community one by one. For those of you who are considering starting a blog, I strongly believe it will be one of the best things you’ll ever do. 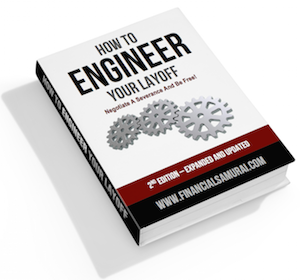 I never thought I’d be able to quit my job in 2012 just three years after starting Financial Samurai. But by starting one financial crisis day in 2009, Financial Samurai actually makes more than my entire passive income total that took 15 years to build. If you enjoy writing, creating, connecting with people online, and enjoying more freedom, learn how you can set up a WordPress blog in 15 minutes. My favorite opportunity for 2018 – 2021 is investing in real estate crowdfunding through RealtyShares. There’s real opportunity given valuations are so much lower in middle America. 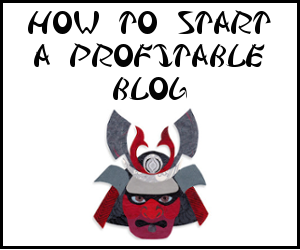 Thanks for the post Sam, it is inspirational and aspirational for new bloggers like myself. I’m still in the new blog frenzy, but I can already see that the doldrums may be coming soon. I’m looking forward to have a “seasoned” blog and reflecting back on my successes! Stick w/ it for 3 years, and I’m pretty sure you will surprise yourself with how much you can accomplish and the opportunities that come along the way! I totally agree that blogging gets better and easier over time. I’ve definitely become much more efficient than when I first started. It used to take me forever to do the smallest things because I didn’t know how to do so many things. One of the keys to longevity is write what you love and to get in a rhythm that’s realistic with your lifestyle. Yakezie really helped me get off the ground and taught me so much, thanks! Great stuff Sydney. I’m proud of you and so many others who were working day jobs, and because of blogging, have managed to transition into a freer lifestyle based on your own rules! We are in year 3 of our website and have noticed all of these trends (except we never really got hate messages). I love the relationships I have built and nothing makes me happier than getting a comment that something we have written has improved somebodies life inspired them. Blogging is a long term game and you have to be willing to stick it out to realize all of the rewards! Thanks for the great post. I challenge you to actually try to get some hate messages! That’s when you really know you’re making a difference and challenging the status quo. It’s fun to get out of your comfort zone. Just remember, if you can speak forever, you can write forever! If you can get through the dip, write some guest post on bigger sites, and writing something that catches fire, you will be extremely glad you stayed the course. Thanks for continuing to post these articles. I’m coming up on 10 months with really the last 5 of those months being active. Prior to that, I only wrote now and then. During this time, I’ve gone through ups and downs staying consistently active. I’ve had two weeks in which I only posted a single article, but other than that, I consistently post 2 to 4 articles per week. Although lately, I’ve been posting every day. I’m actually finding that daily posting is easier than less often. It has just become a part of my routine. It’s like working out. I feel better when I post something to the site. I have seen steady improvement week after week. Although, as you said, now and then something happens and I see 4x the normal traffic. But then it tends to settle back. Thanks again for your words of encouragement to all of us still in the early stages. Looking forward to more greatness to come. Sam – great post. I wonder how many blogs you have personally inspired? I know mine is one of them. Love this site for the reasons you mentioned. Would love if the rankings were updated but realize this site is not the focus right now. Kudos on the help you have provided. I have 5 kids and a very demanding job – had to stop blogging for three months (!!) but my income increased 50% with the new job I took. Seemed like the right trade off and I am now back to blogging and plan to keep at it for the long haul. Too fun not to! Yeah, it’s too bad I don’t have the resources to update the table and forums. Probably best to redirect and start from scratch!